Lawn maintenance and landscaping are great ways to make your property look great, but if you really want thick lush grass you need to aerate and seed your lawn regularly. It’s a process that golf courses use to maintain great fairways and Hofmann Landscaping and Lawn Care can help you achieve the results you want. Aeration is the process of loosening the soil underneath the grass to allow moisture and nutrients to flow freely. Aeration benefits a lawn in several ways. The loosening of the soil will allow moisture to get to the roots creating healthier grass. We can then apply fertilizer and other materials, like lime, to really stimulate the turf. It also allows air to enter the soil which allows dead grass and leaves to break down faster. Occasional aeration, followed by seeding, will help you maintain the luxurious green lawn you’ve always wanted. We can aerate your lawn and seed it with the same level of care as our other services. We can also use a slit seeder, and a slightly different process, depending on your lawn needs. A slit (or slice) seeder is a machine that cuts a small hole in the soil and drops seeds into the space created. Its rotating knives cut into the soil forming narrow grooves. With slit seeding it ensures that the grass seed is evenly spread and that it will not wash away when it is spread on an incline. The slices into the soil are calibrated to give enough seed bed and keep it safe to give it the best chance to grow. Slit seeding is also an effective solution if your lawn is vulnerable to disease and drought, or cases of the lawn dying off. It depends on several factors such as the health of the lawn and the nature of the soil. If your lawn is green and relatively healthy then you may want to have it aerated regularly and add seed a couple of times a year to see an increase in the thickness of your turf. The slit seeder method is most applicable if your lawn is spotty or bare. The even distribution using this machine will help give the seed the best chance to grow, but it doesn’t aerate your soil. Establishment, maintenance, and improvement of a lawn require good decision making and experience. We can go over your options and help you make the best choice. 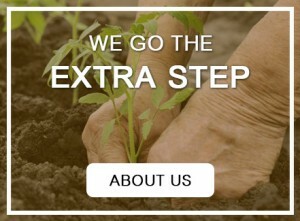 Schedule a free estimate and we can make an assessment of the lawn and talk about your outdoor needs.